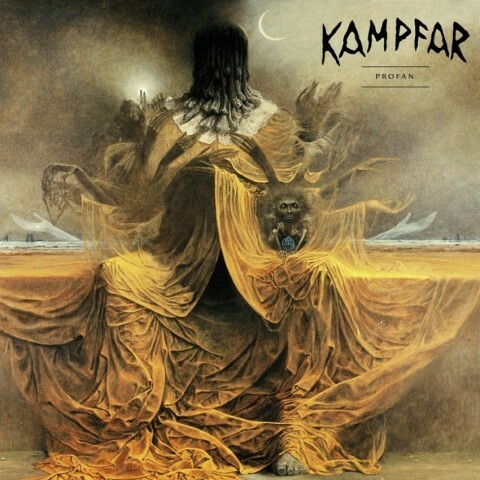 The Norwegian black metal band Kampfar and its label Indie Recordings posted the album "Profan" for free listening. The record official release is set on November 13. The material for the band’s seventh full-length album was recorded in Bergen and Hemsedal, Norwegia. Drums were recorded at the Abyss/Blacklodge Studios with Jonas Kjellgren (co-founder of Scar Symmetry), who also mixed the album. Vocals were recorded in Oslo's Waterfall studio with Stamos Koliousis. All other work on the record, including producing, were handled by the band’s guitarist and keyboardist Ole Hartvigsen. As the previous Kampfar’s album "Djevelmakt", for "Profan" artwork the musicians have chosen one of the works of the Polish artist and photographer Zdzisław Beksiński. In late October, Kampfar has released the video for the song "Daimon" for the first time in 21 years of the group existence.